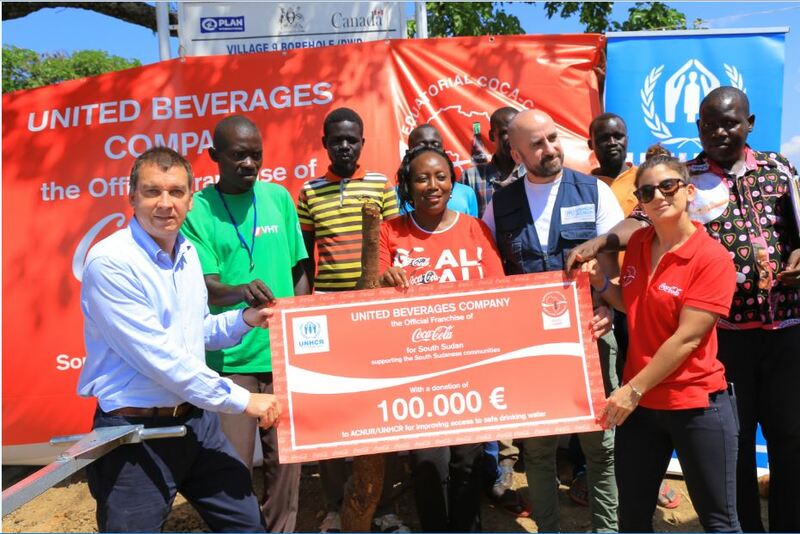 Equatorial Coca-Cola Bottling Company remains committed to the communities of the countries where it operates through a newly launched collaboration with Spain for UNHCR (The United Nations Refugee Agency. The project, known as “Water Assistance for South Sudanese Refugees in Uganda” is designed to ensure access to safe drinking water for South-Sudanese refugees in Uganda. Insufficient water supply in the Bidibidi settlement has led refugees to resort to collecting water from unprotected sources, including open ponds, streams and rivers, to meet domestic needs. Not only does this raise severe health concerns, but it also instigates gender issues and hinders education because women and children are generally the ones commissioned by their families to fulfill the arduous task of extracting water from a deep well. Other sources of clean water include tank trucks able to supply 40 m3 of water a day, a measure that is both expensive and unsustainable. Also, through our plastic recycling facility (Plastic Recycling Industries), we shall be happy to further empower the refugees in Bidibidi by offering to buy plastic from them if they can collect the plastic. This, will ensure they have a constant source of income.